Kelowna is a great spot to live as a mountain biker because we have some of the best weather in BC, especially if you love dry heat, abundant summer sunshine, and access to trails most of the year. When most people think of BC mountain biking, they think of rain forests, loamy black dirt, and steep rocks and root chutes. That is not Kelowna! A little known fact to strangers to the Okanagan is that we are on the dry side. The sweet smell of Ponderosa pine forests, arid climate, dry heat, and lighter dirt make up most of our trails. We do have a lot of steep rocky features that are optional if you’re looking for that flavor too, and we have an amusing assortment of rock gardens for those looking for a fun challenge! There are rewarding views of canyons, lakes, and mountains for the toll of your labor getting up the climbs and the exhilarating descents will make your hair curl! I’m going to be introducing each trail system in Kelowna with my favourite loops for advanced and beginner riders. If you want a sneak peak, you can check out my rides on Strava. 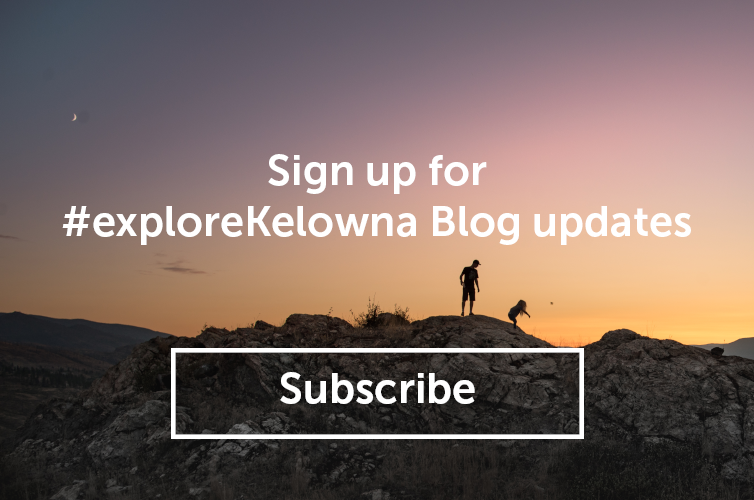 Kelowna is also a nice getaway for the mountain bike enthusiast because there is fun for the whole family, if not everyone wants to mountain bike. With over 40 local wineries, 5+ breweries, farmer’s markets, lake and beach life, hiking, world class golf, and live music, there is something for everyone. And you can even do everything in one day! But what about getting to Kelowna? We have that covered too. Kelowna International Airport (YLW) is a quick 20 minutes outside of town with several airlines and flight options. It’s rare to find a town with amazing mountain biking and an airport so accessible! Trust me, I fly out of the airport several times a month! There is just one problem if you come ride my local trails and hang out in my city. You won’t want to leave. Stay tuned as I feature each trail network and follow my local rides and travels on instagram (www.instagram.com/looneysonya) and facebook (www.facebook.com/looneysonya). 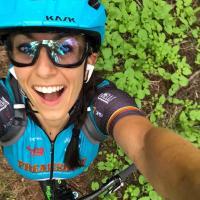 Sonya Looney is a World Champion Professional Mountain Biker based in Kelowna. When she&apos;s not riding all of Kelowna&apos;s great singletrack, she is hosting her podcast: The Sonya Looney Show and traveling and racing around the globe, and touring as a motivational speaker.